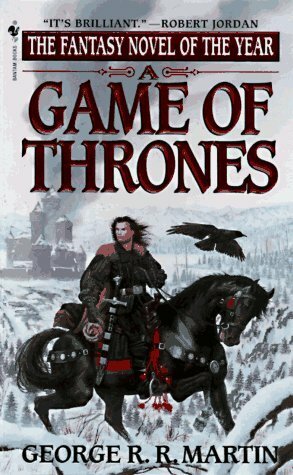 My sons and I have been re-reading a favorite fantasy series, in anticipation of the publication of the fifth volume, due out in a few weeks. The setting is medieval – plus magic and dragons – and containing a full complement of knights and ladies, poor folk and warriors, and to my delight, a vast array of religious systems. I love those made-up religions. The people in this series worship old gods in the woods and newer gods in seven-sided churches they call septs. There are many others, and they all look askance, at least the characters we like so far, at the one monotheistic system seeking to overthrow the rest. I can’t help but be drawn to the Seven. They are Father, Mother, Crone, Maiden, Warrior, Smith and Stranger. They represent various aspects of wisdom and innocence and strength and work and, in the case of the Stranger, the inevitable unknown of death. For the uneducated and poor, who in the book are called “the small folk,” the Seven are separate gods, each to be prayed to at the right time and under the right circumstances. For the more sophisticated characters, they are simply seven faces of one God. And that’s probably why I’m drawn to them. They make a sort of primitive sense, something that is harder to say about our three faces of one God, our Trinity. They are all God, but not each other. Father, Son and Holy Ghost. Creator, Christ and Holy Spirit or Maker, Redeemer and Sustainer or Parent, Savior and Counselor. Or? People are always trying to make some sense out of our Three-Who-Are-One, and finding it’s not so easy. From the very beginning of the very first chapter of our holy book, we have a God in two persons. In the beginning God creates and in the beginning God’s spirit moves over the waters and in the beginning, according to John’s gospel, the Word, Christ, was right there as part of God, though we need to read between the lines in Genesis to reach that conclusion. People have fought each other over definitions of God, and explanations of the Trinity, and after sitting in a seminary class listening to one group of people saying it can only be one way and another saying there had to be a way to make the words less masculine, just because, I walked out of the room one day wondering if I believed in any of it. Oh, I believed in God. Never did I stop believing there was a God. But I found their arguments and attempts to define God limiting and discouraging. They made God seem more like a human invention than a transcendent force. I considered becoming a Unitarian. And by the end of the week, I had talked myself into the Trinity again, even though I still found my classmates and their absolutes annoying, absolutely. Because these are just words for something we can’t really put into words in all its fullness, the idea of God far beyond us and quite literally beyond our imagining, God previously with us in human form and God currently moving among us. It’s divine chaos. Out of that chaos, we try to bring order, and we sing hymns and responses to hold that order together, because if we sing and say the words enough times, maybe we won’t have to think about what they mean: a Triune God, one God with three faces, three Gods-in-One. We sing it in the Gloria and the Doxology, but do we think about the words? As it was in the beginning, is now and ever shall be. World without end. I baptize you in the name of the Father and of the Son and of the Holy Spirit. 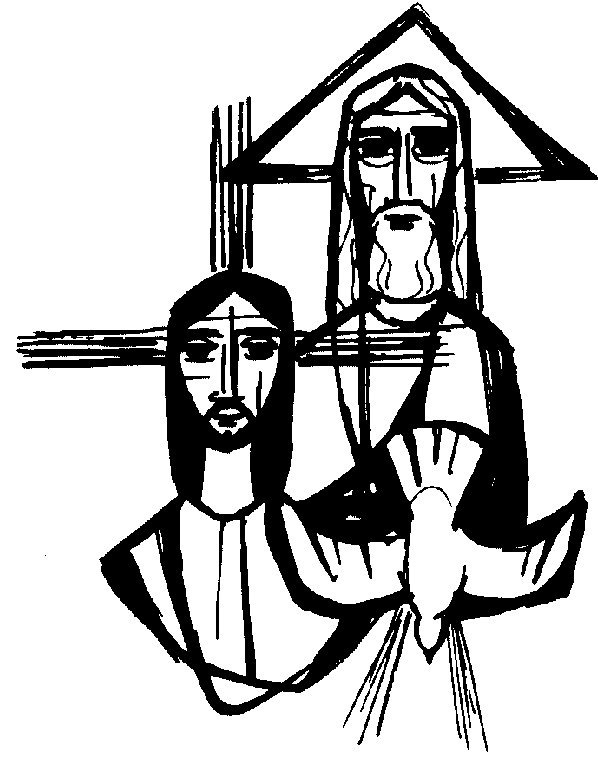 God in three persons – that was in the opening hymn today – God in three persons, blessed Trinity. Out of the chaos of divinity, we try to draw some order, naming days of the week and rules to live by and putting signs on churches and gathering into communities and meeting to worship and following the words printed on a piece of paper. I’m a little surprised we haven’t tried to make the Trinity concrete with 3-sided sanctuaries. We have tried to make sense of things beyond our understanding. God, whether we think of Him as a big Father in the Sky or in some less human-sounding terms, God looked over the basic elements that made the earth and sorted them into something more systematic. 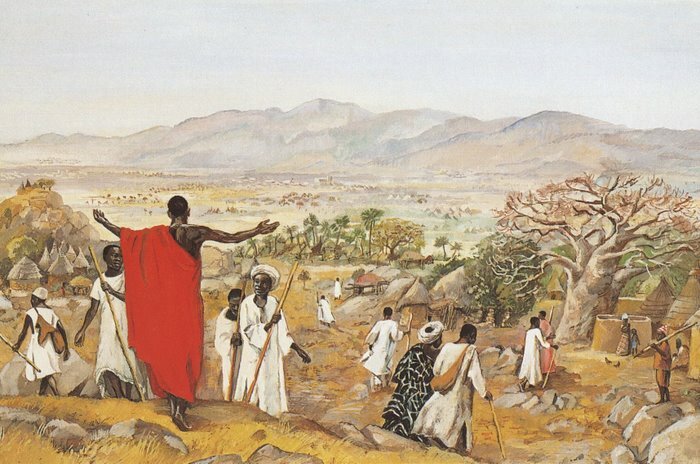 Land and water and sky and the heavens, and then plants and animals and finally people are all arranged in an orderly fashion not repeated in the 2nd chapter of Genesis, where we hear a story from a different tradition in which the people come before the animals. This beginning of the first book of the Bible is not a science lesson, or even a philosophy lesson. It’s a ritual recounting of all the things that mattered, a statement of faith in a force beyond human understanding, a way of describing and affirming that humanity did not appear out of nowhere and does not live uncared for and alone. God had, perhaps, a plan. Hear me say this again. Genesis is not a science lesson. It is not in conflict with science because it is not anything like science. It’s poetry. It’s worship. It represents trust in something bigger even than the vast expanse of space and the planet the first listeners to this story thought was a flat piece of land surrounded by hostile seas. It’s trust in something even bigger. It’s a hymn of gratitude and trust in something bigger and deeper than anything we can see, the power to bring order out of chaos for the good of all. And I imagine that on a mountain in Galilee, it was the furthest thing from the minds of the disciples. We’ve been wandering around Luke and John and Acts for the past six weeks, and we haven’t been back to visit Matthew, whose gospel we read on Easter Sunday. If you were here, you may remember that in Matthew, we didn’t just get a Resurrection of Jesus, we also got the tombs of the faithful saints breaking open and spirits being seen all over Jerusalem. We had earthquakes, both at the Crucifixion and at the Resurrection, adding to the emotion of the disciples, although I’m just guessing here. Matthew only tells us they followed the orders brought by the women who had gone to the tomb. We don’t get a description of what he looked like, Jesus after the Resurrection. We hear that they worshipped, but some doubted. Then he told them to do something the opposite of what he had been telling them all along. After 27 chapters of telling them to minister to the other Jews, he sends them out into the world to make disciples of all people. He tells them to baptize, something he hasn’t mentioned other than to be baptized himself, and he gives them something new, the words we’ve come to know so well, telling them to do that baptizing in the name of the Father and of the Son and of the Holy Spirit. And that’s what the disciples did. Out of the chaos of grief and distress, they made something new. They stayed together, and reached out to others, and went further out into the world, despite threats to their own safety and to their own lives. They went out and did as Jesus instructed them, sharing the story of his life and death and resurrection with the world. What they didn’t have was any kind of well-ordered understanding of the concept we mark today. They didn’t know that the words he spoke to them meant what we call the Trinity. They only heard his commands and his assurance that he would be with them to the end of the age. 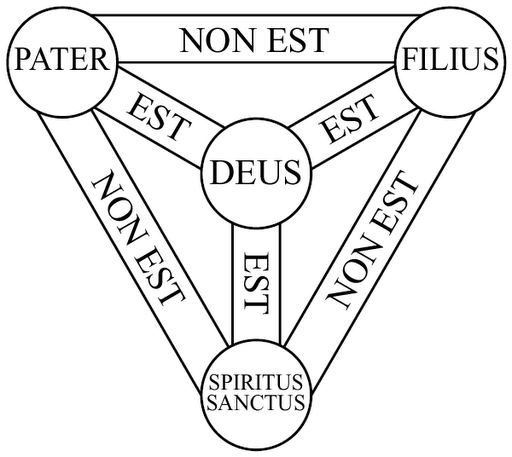 The Trinity: as it was in the beginning, is now and ever shall be, world without end? Or just to the end of the age? Sometimes the equation just won’t balance. But this is not a math lesson, either. In it, we recount together the long history of God’s relationship with humankind. We begin “in the beginning,” with a litany of praise and thanksgiving to the divine energy that made all life possible. We end the first gospel with an assurance that it will never leave us. We don’t have to worship in a three-sided sanctuary to know our God, ever-renewing and ever-loving and ever-present. All Three and Just One, They are the Divine Order calling us out of chaos and into faithful lives. In the name of the Creator and the Christ and the Holy Spirit. Amen. Makes sense ad I like how you share your story and understanding. I love: "God had, perhaps, a plan"! I hear that throughout your sermon. I also hear a very nice invitation to be part of the plan. Thank you! Awesome and outstanding sermon Martha. I especially thought the Genesis section was stellar…well put…gentle…but made the point as well. Well said! Like the image of divinity coming out of chaos too. Makes me feel a little more hopeful about the state of my own life! Wow, great sermon on the Trinity for the above listed reasons and more!